The Gym Escape is another point & click, escape game by bored. You are trapped in the local Gym! 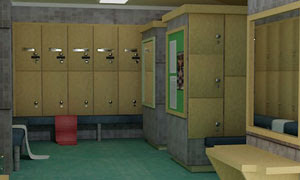 Explore the locker and weight lifting rooms to find helpful objects. Solve puzzles to get the access card to escape the gym! Good luck and have fun.